HORSESHOE VETCH seeds (hippocrepis comosa) from Wildflowers UK. 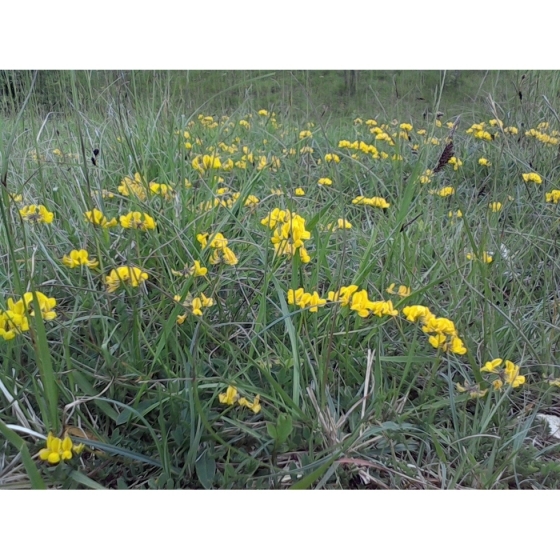 Horseshoe Vetch -hippocrepis comosa– grows best in light well-drained grassland and is suited to chalk and limestone soils on sites where there is plenty of sunlight. Plants host a wide range of insect life such as Bees, Butterflies and Caterpillars. Horseshoe Vetch is a very important plant for breeding butterflies, attracting a variety of species in the wild, such as the Adonis Blue, Chalkhill Blue, Silver-Studded Blue and Dingy Skipper, all of which will lay their eggs on the plant. 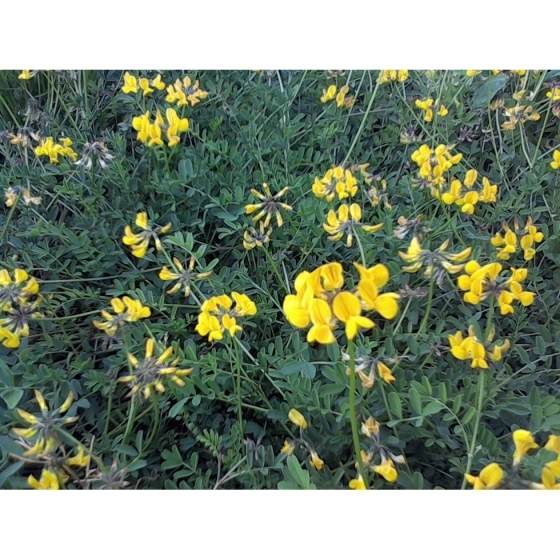 This species is low growing, with yellow flowers, that appear from May to August resembling those of Bird’s foot trefoil. 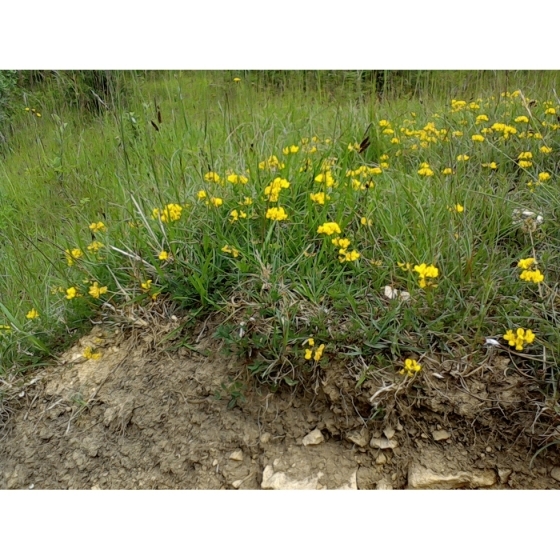 Horseshoe Vetch looks best growing with other chalk and limestone plants that flower in early to mid-summer such as Oxeye daisies, Greater Knapweed, Meadow Cranesbills and Small Scabious. Horseshoe Vetch seeds should be sown in spring or autumn, either outside, where they are to flower, or in seed trays and covered lightly with compost. Germination can be improved by lightly rubbing the seeds between 2 sheets of sandpaper. This is known as scarification and helps break down the seed’s tough outer shell. Horseshoe Vetch seeds are usually easy to germinate and the seedlings, which are quick to develop, can be pricked out and grown on, for planting out later in the year. 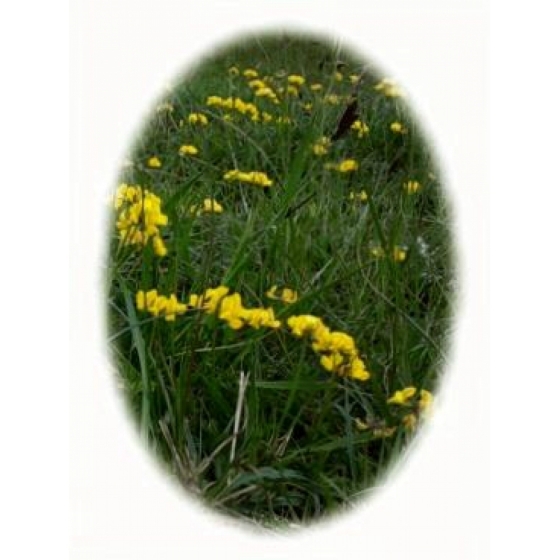 To purchase Horseshoe Vetch seeds, please select a quantity above and click add to cart. To ensure the best chance of success, we sell all of our wildflower seeds by weight, which ensures each wildflower seed packet contains a good quantity of seeds. Please note that due to the risk of damaging seeds through over processing Horseshoe Vetch seeds are offered for sale within their distinctive horseshoe shaped husks. The recommended sowing rate is 1 gram per square metre. All of our Wildflower seed packets contain seeds of Native British provenance.